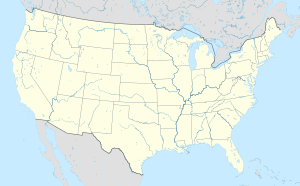 Sheppard Air Force Base is a United States Air Force base located five miles north of the central business district of Wichita Falls, in Wichita County, Texas, United States. It is the largest training base and most diversified in Air Education and Training Command. The base is named in honor of Texas Senator John Morris Sheppard, a supporter of military preparations before World War II. 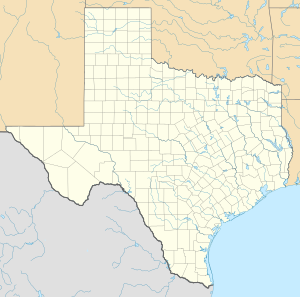 Sheppard Air Force Base (IATA: SPS, ICAO: KSPS, FAA LID: SPS) is a United States Air Force base located five miles (8 km) north of the central business district of Wichita Falls, in Wichita County, Texas, United States. 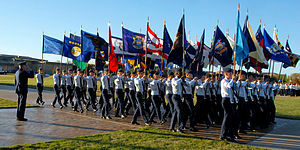 It is the largest training base and most diversified in Air Education and Training Command. The base is named in honor of Texas Senator John Morris Sheppard, a supporter of military preparations before World War II. The host unit at Sheppard is the 82d Training Wing (82 TRW), which provides specialized technical training and field training for officers, Airmen, and civilians of all branches of the military, other DoD agencies, and foreign nationals. The 80th Flying Training Wing (80 FTW), also at Sheppard, conducts the Euro-NATO Joint Jet Pilot Training (ENJJPT) program, a multi-nationally manned and managed flying training program chartered to produce combat pilots for both USAF and NATO. As of June 2015, Brigadier General Patrick J. Doherty is the commander of the 82d Training Wing, and he concurrently serves as the installation commander of Sheppard AFB. Colonel Gregory S. Keeton is the commander of the 80th Flying Training Wing. Sheppard AFB shares one runway with Wichita Falls Municipal Airport under a joint civil-military arrangement.